Rhythm is the engine that drives music. I have an excellent sense of rhythm and this ability translates to my drum instruction. I teach basic drumming, with a focus on rock and rhythm 'n' blues. Styles and rhythms I teach include "Your Basic Rock Beat," funk, boogaloo, blues, disco, Motown, swing jazz, reggae, New Orleans "Second Line," and anything we can learn from my vast collection of pop, rock and blues CDs... 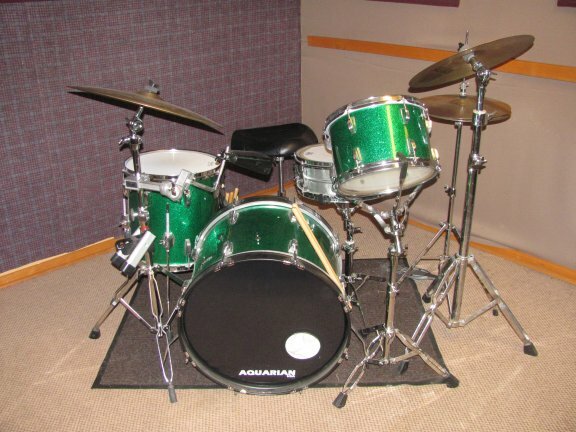 I teach on a vintage 1960s Ludwig Downbeat drumset. It sounds really good!